The last Wednesday of every month is a Weird Wednesday on Absolute Michigan – a day when we’re fortunate enough to have Weird Michigan author Linda Godfrey lay down a tale of the strange and wonderful from the Great Lakes State. This month was The Ghost of Minnie Quay, one of best! Jory Brown has a very cool song & video about the love, loss and the voice from the Blue Water of Lake Huron. Hey … am I awake or is this video a dream? Thanks Bob Cesca for the find. More Eatliz. 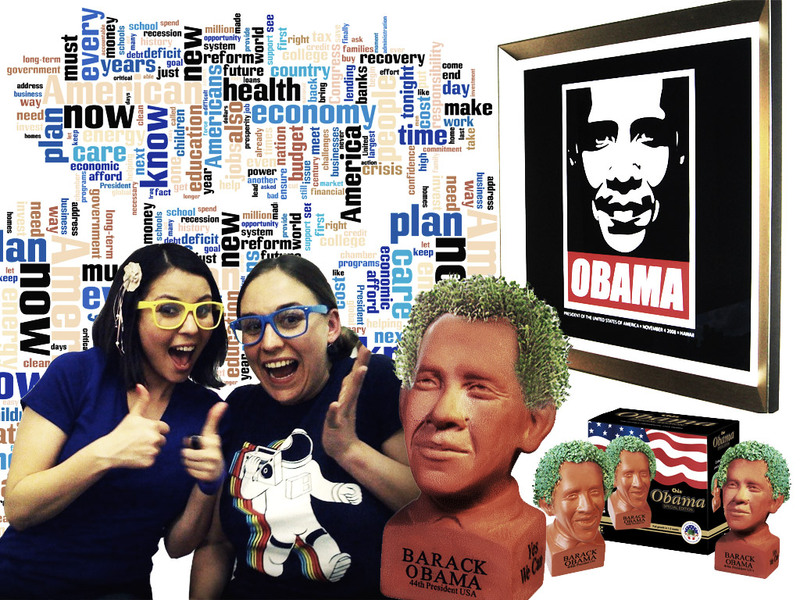 Yes we can … grow herbs and sprouts from our President’s HEAD! It’s ChiaObama – $19.99 worth of crunchy and nutritious fun! 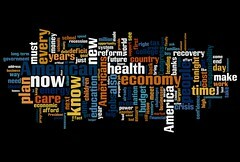 That Daily Show excerpt and the Word Cloud of Obama’s speech to Congress both come courtesy Jason Morrison, who generated a great Obama v Jondal Word Cloud face-off. 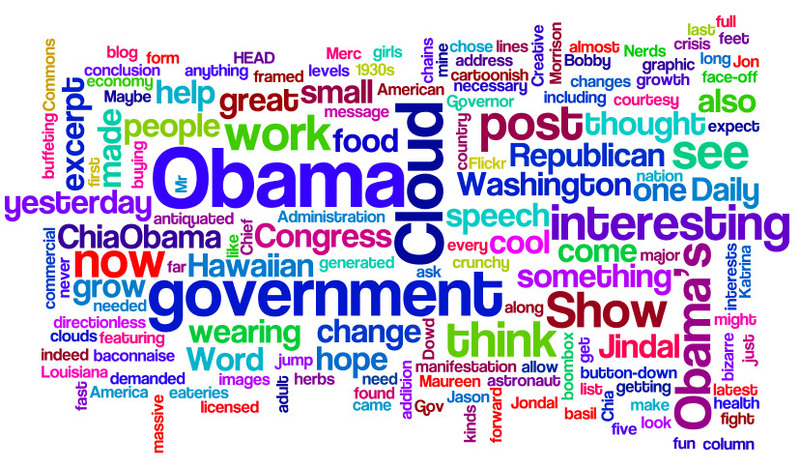 He made the cloud at wordle.net and has written about the utility of tag clouds. 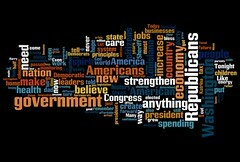 It’s interesting to look at these small to see the major themes: “Plan now, health economy every time new America” and “Republican need government Washington anything strengthen Congress” jump out at me from 10,000 feet. I have been full of hope that the massive waves of crisis that are buffeting the world will allow the Obama Administration and people at all levels of society and government to make the really profound changes that are necessary for our growth and survival. I think that’s what Maureen Dowd was getting at in her latest column. Obama’s radio address seems to show that he is indeed ready for a fight along those lines: The system we have now might work for the powerful and well-connected interests that have run Washington for far too long, but I don’t. I work for the American people. I didn’t come here to do the same thing we’ve been doing or to take small steps forward, I came to provide the sweeping change that this country demanded when it went to the polls in November. 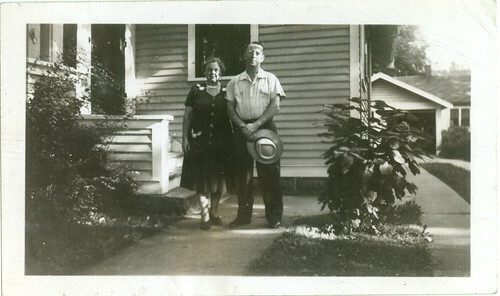 I found the images for this post on a Flickr search for “obama” licensed under the Creative Commons for commercial work. I thought it was interesting that the first five results had the theme or subtheme of buying something Obama-related. The person who posted the framed picture of Obama also has a food blog featuring all kinds of Pacific food including Hawaiian, something I’ve never tried. Can we expect to see chains of Hawaiian eateries springing up? I also thought it cool that one of the “Nerds for Obama” was wearing the cool astronaut boombox shirt that one of the girls at the Merc was wearing yesterday. Viviene (pictured above) has started a company called Polka Dot Robot. While PDR doesn’t sell Obama gear, it does offer these Monster Hoodies. I made this post into a cloud. In conclusion, I’d like to ask what you will grow in your ChiaObama. I think mine will be basil … or hope & change.